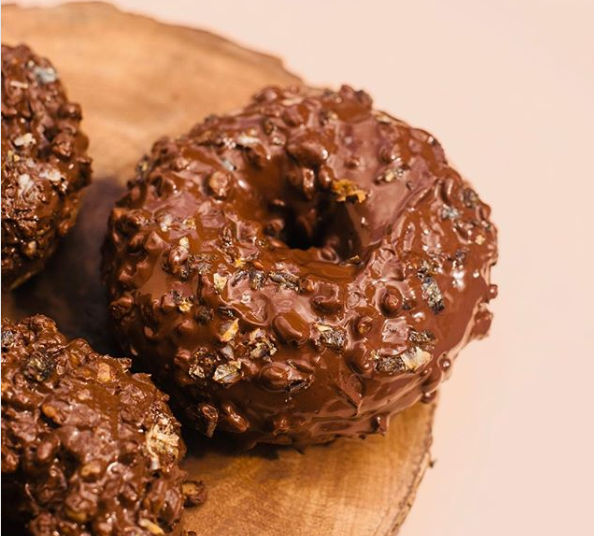 The traditional Filipino chocolate rice porridge 'Champorado' served for breakfast is now in donuts form. Poison is a coffee and doughnut shop which has become known for their best-tasting donuts. The champorado and tuyo donut was launched last year along with other flavors includes, Blueberry lemon (Php70),Lemoncurd filling overdose with blueberry jam and blueberry glaze; Egg Custard Brulee (Php70),Burnt sugar exterior injected with dark brown sugar custard;and Maple Pecan (Php60), this will remind you of fluffy pancakes with pillow-soft brioche-sourdough doughnut glazed with salty-sweet maple syrup and toasted pecans. Look what the storm blew in. Our new seasonal doughnuts are here: Peanut Butter and Jam, Champorado, and Maple Pecan. Pair these with hot black coffee for a rainy day cure. There are no bad eggs, just sinful ones. Sloppy egg sandwiches coming to Poison soon.